As most of you should know this has been one of the worst years for fires in recent memory. From the devastation in Greece out side of Athens to here in America with California doing battle once more with fire. Over in Sweden up to the Arctic the forests burned. Is this because of a shift in the climate ? Not properly creating fire breaks in our forest ? Just dry conditions in remote areas ? I for one am not sure but my heart goes out to those that have loved ones and property. I would also like to acknowledge the hard work that many do to combat this menace -- Thank You ! Edited by rgillis783, 09 August 2018 - 09:44 PM. Edited by rgillis783, 09 August 2018 - 09:45 PM. These guys came from South Africa to assist the Canadians ! This is a pict. 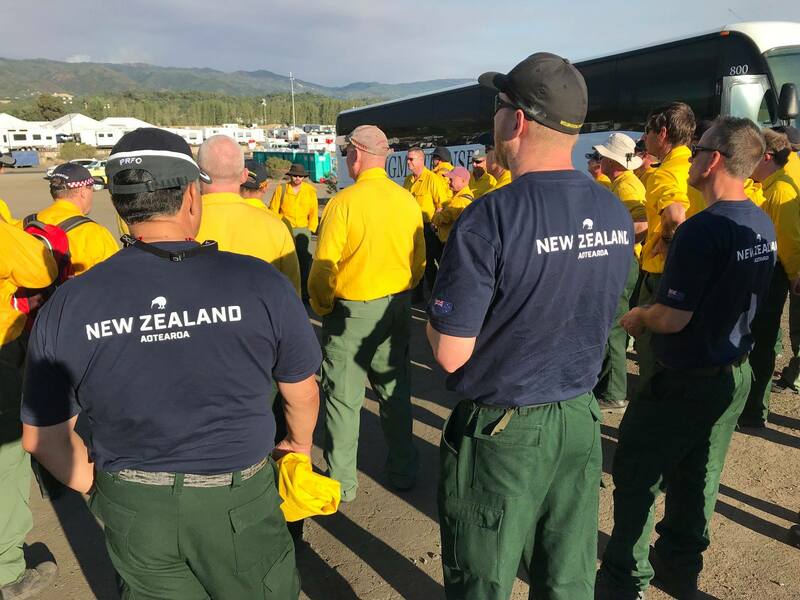 From Australia who has also sent fire fighters to Cali to assist . Is an old picture but they got fire issues also. Edited by rgillis783, 09 August 2018 - 09:51 PM. Definitely the climate changes play a big role in it . Hmm, not sure if it's different in another country, but I know for a fact that here in the US pretty much all our fires are caused by careless people, not too much to do with any significant change in the climate. Climactic conditions influence how likely a careless action is to start a fire, how fast the fire will spread, and how much acreage will eventually burn. A hotter and dryer climate provides more and better fuel for the fire in terms of dry brush and trees and makes it harder to put it out. Definitely true, I don't dispute this at all. But it would be much, much harder for the fires to start if not for careless humans. It's such a sad thing, really. Careless campers, cigarette butts, even lawn equipment.